SINGAPORE - Seventeen-year-old Choo Jian Wei is not only a first-year bioengineering student at Singapore Polytechnic, but also an accomplished member of Pathlight School's Artist Development Programme (ADP). 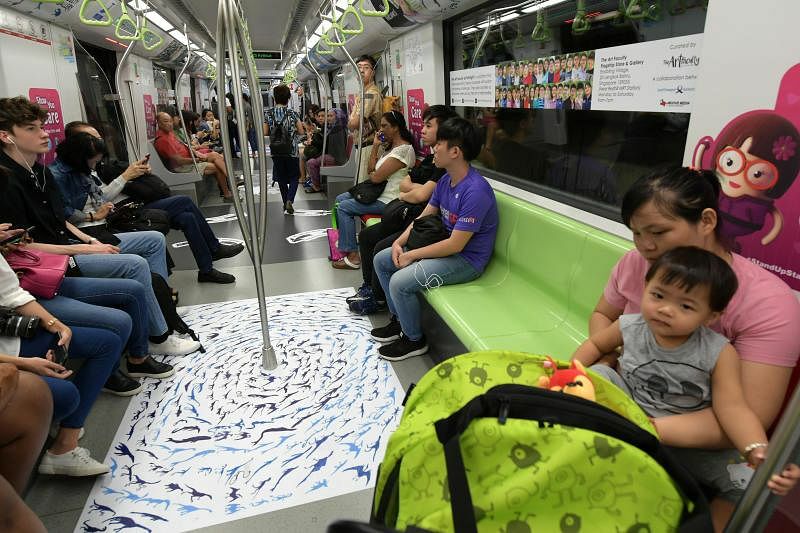 His "Sketch of An Eye" is one of the 10 artworks on display on board Singapore's first autism-themed MRT train and at four interchange stations. "The eye is a window into the soul," he said when discussing the inspiration for his pencil sketch. The artworks, unveiled on Thursday (April 12), are part of a month-long community outreach programme to raise awareness of autism in conjunction with World Autism Awareness Day on April 2. 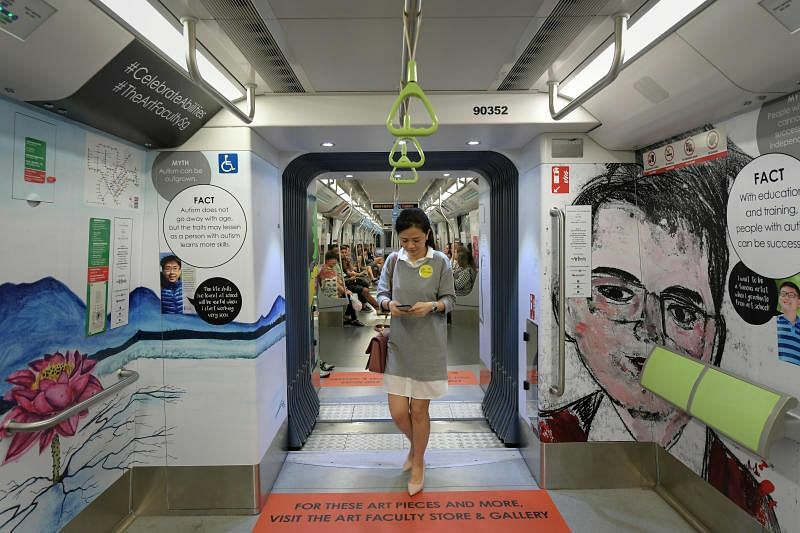 A Downtown Line train and four interchange stations - Bugis, Newton, Serangoon and Tampines - are showcasing the works of artists from ADP until May 9. It is a collaboration between Autism Resource Centre (ARC), Land Transport Authority (LTA) and SBS Transit (SBST). The 10 artworks were specially chosen to highlight and hence dispel debilitating myths about autism, as well as illustrate the artistic talents of those with autism. "It is time to celebrate what they can do, instead of thinking of them as persons with disabilities," said Ms Denise Phua, president of ARC and school supervisor of Pathlight School Board. "When people in commute see and internalise the artworks and the message behind them, their mindsets and behaviour will change," she added. She hopes society will be more inclusive towards the disabled, and believes that giving them a space to be seen and heard is key to cultivating that inclusivity. "It is a tremendous honour to have my piece displayed to raise awareness that we are equal and no different from any other person," said another ADP member Ng Li Jie, 21, whose artwork is also being displayed. Besides Pathlight School, the initiative also involves AWWA School, Eden School, Rainbow Centre, and the Day Activity Centre of St Andrew's Autism Centre.